We tell customers all the time that the 2015 Jaguar XJ is one of the finest selections in our new Jaguar inventory. But we thought we’d compile some of the most complete 2015 Jaguar XJ reviews and see what the critics think. 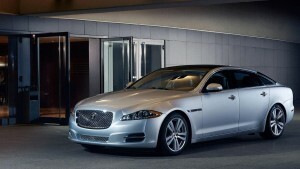 The Car Connection praises the 2015 Jaguar XJ even more, giving the luxury car an 8.6, placing it firmly in its “Go!” rating slot. Car Connection stated that the XJ boasts a “design like no other,” and that its “efficient supercharged V6,” produces performance that is “brash yet comfortable,” echoing US News and Rankings. Meanwhile, the highly respected publication Autoweek says that the supercharged V6, once accelerated, “is as smooth as any of the V8s,” and has an “excellent steering response.” They also “admire” the “sleek exterior and clearly British interior of the XJ.” A critic’s darling, the 2015 Jaguar XJ is admired both in and out. The reviews love its agile, sporty handling and its sleek-but-not-showy look. If you’re as excited as these reviewers are about the 2015 Jaguar XJ, do yourself a favor and contact Jaguar Freeport today. We can’t wait to share our passion for the XJ with you!